Members of the University IT High-Performance Computing staff will present spring workshops that will focus on a variety of topics and tools to help increase research productivity. Beginning with new-user workshops on Feb. 20 and 27, followed by "Basic Bash and Python scripting," the line up will include an introduction to machine learning and how to improve parallel performance with GPUs. Additional workshops will include Intel Hyperthreading Technology in Scientific Parallel Computations, Computational Chemistry and Molecular Dynamic modeling, Intro to 3D modeling for Research, Tools for moving Big Data and Tools for Research Visualization. To make a reservation, send an email to hpc-admin@unt.edu. Please include "RSVP" in the subject and the workshop title/date in the message body. Read more. Bitcoin has been in the news recently. The big news is that after a meteoric rise in value during the end of 2017, Bitcoin values have dropped substantially in value since the middle of December 2017. So, those Bitcoin billionaires may now be measly Bitcoin multimillionaires. Read more. Please help your graduate students find support for their research projects since the Exam and Research Data Services Office moved recently from Sage Hall into GAB, Room 206. Under the management of JoAnn Luksich, the ERDS team supports research faculty and graduate students with two major services, data collection and optical scanning. Read more. The problem description is as follows: Flea Circus (Problem 213): A 30×30 grid of squares contains 900 fleas, initially one flea per square. When a bell is rung, each flea jumps to an adjacent square at random (usually four possibilities, except for fleas on the edge of the grid or at the corners). What is the expected number of unoccupied squares after 50 rings of the bell? Give your answer rounded to six decimal places. Read more. Looking to start a new relationship? For some, that may mean meeting a new love interest online. Word to the wise: sometimes it’s best to lead with your head and not your heart. Read more. A minor distraction is all it takes for a laptop to vanish. If it goes missing, all the valuable information stored on it may fall into the hands of an identity thief. Keep these tips in mind when you’re out and about with your laptop and know where to report the loss. Read more. At UNT's Historically Underutilized Business vendor fair last November in the University Union, David Athans, an account representative from Checkpoint Services, Inc., displayed several products made by Seal Shield, LLC. The company is a manufacturer of infection-control products and antimicrobial solutions. Read more. Trading in his reading, tennis and leisure time, Jonathan Piott now focuses on family, parenting and programming. 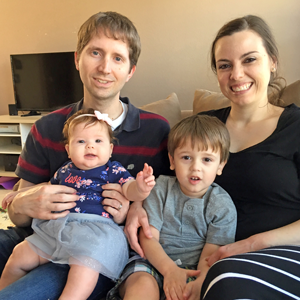 After meeting his wife Traci, a fellow UNT student, Jonathan's path led him to become a full-time web developer, husband and father. Read more. Some people claim sensitivity to Wi-Fi is possible and its official name is Electromagnetic Hypersensitivity Syndrome. The World Health Organization states that no scientific basis currently exists for a connection between EHS and exposure to electromagnetic fields. What do you think? Read more. Do you know the top 10 IT issues for 2018? 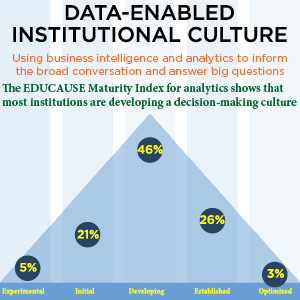 EDUCAUSE: The 2018 Top 10 IT issues show how digital technology is remaking higher education through four key themes: institutional adaptiveness, improved student outcomes, improved decision-making and IT adaptiveness. The issues help you understand key opportunities and challenges in IT and identify gaps in strategy and infrastructure. Read more. Yes, “Black Panther” is easily one of the best superhero movies ever made, but that’s the least important thing it is. The reason it’s on everyone’s lips, the reason people who don’t care about superheroes suddenly care about superheroes, the reason you are reading these words, is that this movie is a moment, a watershed in the cultural history of African-American people. Read more. PogoCam is the small wearable camera that attaches to your glasses so you can capture photos and point-of-view video from your perspective. Check out the product's video review and PogoCam's video. The role of edge computing to date has mostly been used to ingest, store, filter, and send data to cloud systems. We are at a point in time, however, where these computing systems are packing more compute, storage, and analytic power to consume and act on the data at the machine location. This capability will be more than valuable to industrial organizations—it will be indispensable. Read more. From today's rock stars of innovation to tomorrow's hidden gems, these 18 technologies have the greatest potential to transform the world over the next decade. Read more.